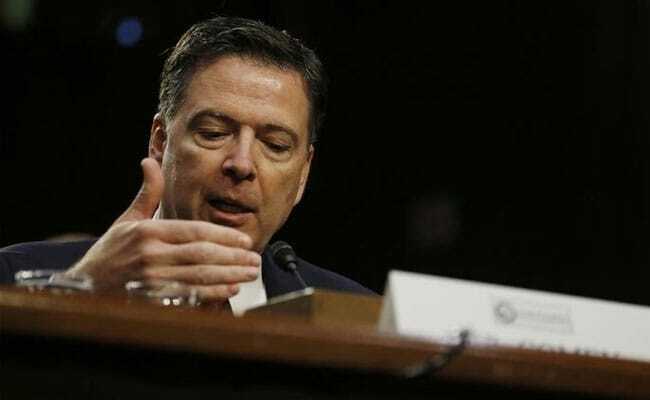 Former FBI Chief James Comey said US President Donald Trump fired him on May 9 to try to undercut the Federal Bureau of Investigation's probe. While the firing almost immediately prompted allegations that this was the case, this was the first time Comey made the accusation in a public forum. James Comey testifies before Senate hearing on Russia's alleged interference in 2016 US elections. Former FBI director James Comey's testimony on Thursday before a Senate committee produced a string of revelations that shed more light on the investigation into possible Russian collusion with President Donald Trump's campaign and its political fallout. Here are some of the top disclosures from Comey's appearance before the Senate Intelligence Committee. Comey said Trump fired him on May 9 to try to undercut the Federal Bureau of Investigation's probe. While the firing almost immediately prompted allegations that this was the case, this was the first time Comey made the accusation in a public forum. Comey said the Trump administration had lied and defamed him and the FBI after his firing by saying the agency was in disarray and that the workforce had lost confidence in him. Comey also said he started writing memos about his meetings with Trump after an encounter with the president-elect on Jan. 6 because he was concerned Trump might lie about it. Comey said he never felt the need for such a record from meetings with Trump's two predecessors, Barack Obama and George W. Bush. Comey confirmed that when Michael Flynn was fired as national security adviser on Feb. 13, the retired lieutenant general was under criminal investigation for statements in connection with Russian contacts and for the contacts themselves. Comey said the FBI knew Attorney General Jeff Sessions would recuse himself from the Russia investigation following reports that Sessions had met with Russian Ambassador Sergei Kislyak during the campaign. Comey said there was more he could say about Sessions that he could not discuss in an open hearing. Comey said he shared memos of his nine conversations with Trump with investigators for Robert Mueller, the special counsel investigating possible ties between the Trump campaign and Russia. The former FBI director said he also showed copies of a memo memorializing talks with Trump to people outside the Justice Department. He said he asked a close friend, a Columbia Law School professor, to share the memo's content with a reporter. Comey said he was prompted to make that request by a tweet from Trump following his firing. The professor, Daniel Richman, confirmed to Reuters on Thursday that Comey was referring to him. Comey said Obama's attorney general, Loretta Lynch, directed him to refer to the probe of Hillary Clinton's emails as a "matter" rather than an "investigation." That and her private tarmac meeting with former president Bill Clinton before the FBI's decision on whether Hillary Clinton may have criminally mishandled government information led Comey to disclose the agency's findings ahead of schedule last summer.